We deal with property in the Haute Vienne department of the Limousin, primarily around the Communes of Bessines-Sur- Gartempe, Razes, Chateauponsac, St. Pardoux and Rancon. It is a largely undiscovered part of central France and one of stunning natural beauty allied to a rich cultural and historical heritage. The hills, forests, lakes and quiet country roads provide something for every out door enthusiast. Walking, cycling, water sports, fishing, golf and equestrian activities are all well catered for. The Haute Vienne is serviced by the City of Limoges, with its world renowned porcelaine industry and commanding walled Cathedral, overlooking the Vienne river. Limoges has it's own airport with regular flights to the UK. The region has numerous, picturesque villages and towns to explore, many of which are listed in France's "Most Beautiful Villages." Mark, having spent 30 years in the Metropolitan Police as street Bobby, trainer, dog handler and firearms officer needed to escape. I having spent 23 years at Heathrow, in various capacities, had no objection. Originally we were looking further south but a friend introduced us to the area and we fell in love with the forested hills, lakes, rivers and tranquillity. Having remodelled an old farmhouse to provide gite accommodation and totally renovated the attached barn for ourselves, we needed something different to concentrate on. 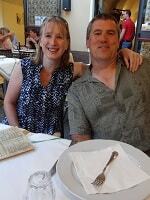 Helping others achieve their French dream, seemed the perfect outlet. Magnificent maison de maitre, beautifully renovated and a highly successful BnB business. This superb renovation, has operated as a very successful BnB business for the last 10 years. . . . Perfect for those seeking a large & spacious family residence - whether for a permanent or . 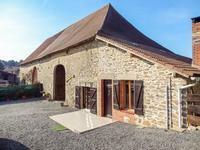 . .
With 300m² of living space, plus a large convertible attic and a detached barn in five . . . Magnificent eco house, perfect energy rating "A". Pool, garden and stunning views. Secluded position, but close to amenities. This stunning property sits in its own land of 5.5ha and enjoys spectacular views over the . . .
Centrally situated in the village of Mortemart, designated as one of the” Most Beautiful . . . Built in 1800, this property oozes character, both inside and out and offers new owners many . 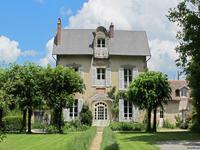 . .
A true “Maison de Maitre” dating back to around 1830, which has been much improved by the . . .
Delightful modern bungalow with renovated basement, set in 4.5ha of beautiful parkland including a fully licenced 1.5ha lake. Happily situated on the edge of a quiet hamlet, this beautifully presented property enjoys . . . Spacious six bedroom townhouse, currently operating as a b&b: Second property rented as two apartments: Private courtyard and garden. This unique property is peacefully situated in a small hamlet close to the town of Nantiat. . . . 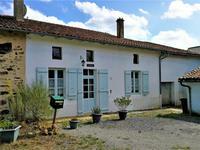 Opportunity to own a developing gite business, with private owners accommodation, set in the . . .
Set in over one acre of mature gardens, with wonderful views from the sun-drenched terrace . . .
Two renovated houses with garden and barns. Peaceful hamlet location with beautiful views and not far from amenities. These two houses have been tastefully renovated, but both could be extended, if required. . . .
Charming stone house, in peaceful hamlet location, with large leisure lake close by. Attached one bedroom gite offers income potential. Nestled in a peaceful hamlet of just a few houses, this property is just a short walk from . 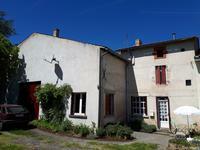 . .
Charming property with business potential from a gite. Garden with superb views and more outbuildings to renovate. This superbly renovated property, sits in a quiet, pretty hamlet, which itself is just a few . . .
Beautiful modern bungalow, tastefully decorated, situated in peaceful countryside, with views. Not far from town. This delightful property was purpose built by its current owners in 2007. It was designed . . . Fully equipped fifty cover restaurant in two sections, with bar, fully equipped kitchen, . . . Sitting fairly central to its’ “L” shaped plot, the property is set well back from the . . .
Large family house with garden, garage, mains drains connection and close to town with amenities. This large property, built in 1980 is split between two floors. On the first floor it has 3 . . . Situated in a small hamlet close to Mezieres-sur-Issoire, this superb property offers many . . . Situated at the edge of the village, this property offers new owners the option of living on . . . This delightful ensemble of characterful buildings would make a perfect home for two families . . . Fully renovated large stone house with an attached garden and barns. Hamlet location, but 5 minutes from town. The house has been lovingly restored and is in excellent condition. It is double glazed . . .
Delightful bungalow, tastefully decorated, with large private garden and garage. Situated in a quiet hamlet, not far from town. Enjoying all the peace and tranquillity of a quiet hamlet, this property is also conveniently . . . Character, stone cottage in tranquil hamlet with beautiful manicured garden overlooking a peaceful valley. This stunning property sits in a quiet hamlet, not far from the town of La Souterraine, . . . This property offers new owners the choice of enjoying a large, five bedroom family home, or . . . Fully equipped hotel and restaurant, 2 restaurants 1 x 50 covers and 1 x 25 covers 5 . . .
Charming detached, renovated two bedroom stone house with enclosed garden - mains drainage, diverse outbuildings. Situated in a hamlet close to Chamboret, this delightful property has been renovated to a . . .
Two x one bedroom apartments: Three x two bedroom apartments: One x three bedroom apartment: . . . Situated in a small, rural hamlet, this early 19th century property was once the main house . . . Renovation project: Stone house with new roof and two small outbuildings set in 14.7ha of woodland. Idylic Location. The property offers the feeling of total isolation, though in truth, is situated not far . . .
Tastefully renovated stone house with barns and large attached garden. Hamlet location with beautiful views. Nestled in a small and peaceful hamlet, between the villages of Rancon, Droux & . 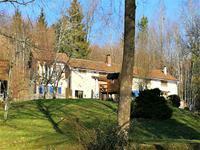 . .
Large house mostly renovated and two houses to renovate set in beautiful grounds of 2 hectares. Hamlet location with views. Amenities close by. Business potential. Beautiful stone house with attached large garden, barns, large workshop, garage and a stable. Further land a few steps away from the house. The house has been mostly renovated to a high standard, but some finishing works remain. It . . .
Detached three bedroom village house, beautifully presented and offering ground floor living. Attached garage and garden. This well renovated property is situated on the edge of a popular village and within walking . . . Attractive stone detached house in three distinct parts: Two-story 2 bedroom house. Two-story . . . 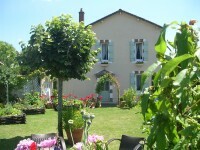 Situated in the centre of the bustling village of Compreignac, this property benefits from . . .
Detached house with 3 bedrooms and garage, enclosed garden, village location, with swimming lake within walking distance. This fantastic house is ideally situated in the sought-after village of Saint Pardoux with . . . In excellent order throughout, this really is a wonderful property; perfect for either a . . . Built around 1903, this property has remained in the same family and was partly inhabited . . . Beautifully presented and very well maintained, this delightful property is full of . . . 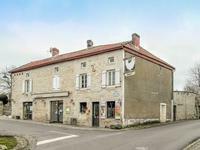 Fantastic opportunity to buy an established and popular bakery, with living accommodation, situated in the heart of a tourist village in the Haute Vienne. The life and soul of the village throughout the year, this Boulangerie has been a successful . . . Located in a very small, rural hamlet, this charming property has been well maintained and . . . This well maintained property is situated in a pretty hamlet and is just 5 kms from . . . The property offers 180m² of habitable space and the possibility of dividing into two . . .
Centrally situated in the delightful & traditional village of Blond, which offers facilities . . . Enclosed within a fully hedged garden, the combination of a 1970’s “sous-sol” main house, . . . Character hamlet house, beautifully decorated, with attached garden and barns. Nestled in a tiny, peaceful hamlet, this property offers a little piece of paradise in the . . . Opportunity to buy the fixtures, fittings and goodwill of a fifty cover town centre . . . Character cottage in a delightful, quiet village, with garden, large barn & views. The house is situated in the pretty village of Fromental, with its historic 17th century . . .
Detached stone house, renovated with attached, enclosed garden and garage. Village location, with all amenities on the doorstep. This pretty stone cottage is situated on the edge of the village of Chateauponsac and . . . Ideally situated on the edge of Bellac, this charming property is full of charm & character, . . .
Detached 1980’s two bedroom village bungalow,. Well maintained, with new double glazing, attached garage and garden. Part of a mature development of around twelve properties, this bungalow has been extended, . . . Situated in the heart of the town centre, these apartments are ideal as an investment . . .
Is this your slice of paradise? This is an exceptional and totally unique 3hectare plot of . . . Superb opportunity to acquire and expand a successful bar and catering business, established . . .
Renovated stone house with garage and garden. Centre of village location, close to amenities. 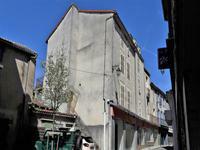 This charming house sits in the old quarter of Chateauponsac. Known as the Pearl of the . . . Situated in the heart of this traditional French village, this charming property is spacious . . . Situated on the edge of the town of Bellac, this 1930’s built property is quite habitable, . . . The property is situated in a small peaceful hamlet, though under 4kms away from the bigger, . . . Fully restored by the current owners, this four-storey property benefits from town gas . . .
Competitively priced for the volume of property, there is no disguising the level of work . . . Pretty stone cottage located in a calm & peaceful village. Attached garden and mains drains connection. 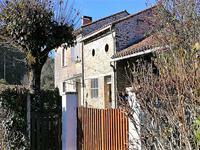 Set in and among the windey small streets of the village of Rancon, this charming little . . . Pretty character cottage, with attached barn, beautiful large garden with views and all set in a peaceful village location. Sitting on the edge of the village, the property enjoys extensive views from the garden. The . . . Situated in the heart of this traditional French village, this property is well suited for . . .
Four bedroom detached house to renovate. Large enclosed garden and adjoining land. 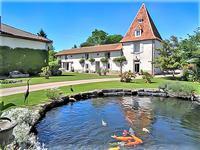 Situated close to the village of Mezières-sur-Issoire, which offers a good range of basic, . . . Situated on a quiet country lane, surrounded by fields, this property is ideal for those . . . Ideally suited for a couple or single occupant looking for a perfect holiday or permanent . . .
Charming three bedroom village house to update. Attached garden and barn. This attractive property is habitable, with all services connected, including mains drainage . . . Situated in the heart of this popular village, within walking distance of all local . . . This profitable and growing bakery business is for sale with an option to rent the building . . .
Charming three bedroom detached stone hamlet house to update. Enclosed attached garden, attached workshop and carport. Habitable in its current condition, this charming stone property would make a wonderful home . . .
Detached house with attached walled garden, overlooking fields & woodland. Peaceful hamlet location, but not far from amenities. Situated just a few kilometres from Bessines sur Gartempe, with its bars, bakeries, . . .
Stone house, with garage and small attached garden. Situated in a quiet hamlet and just a few minutes drive from a large leisure lake. OFFER ACCEPTED -Nestled amid the Limousine countryside, with woodland walks from its door, . . .